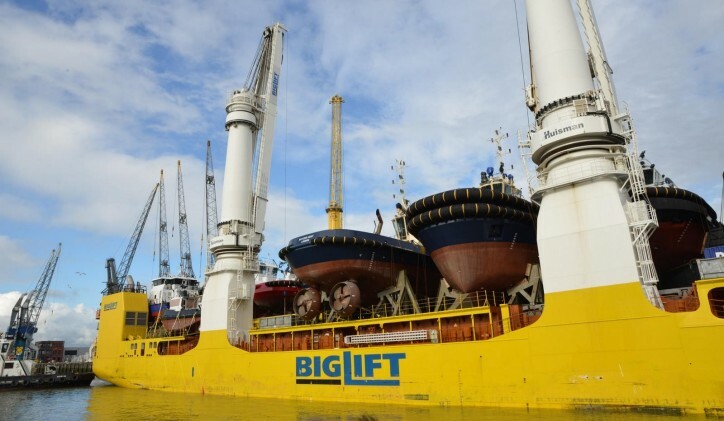 BigLift Shipping’s heavy-lift vessel Happy Star arrived in the Port of Rotterdam. 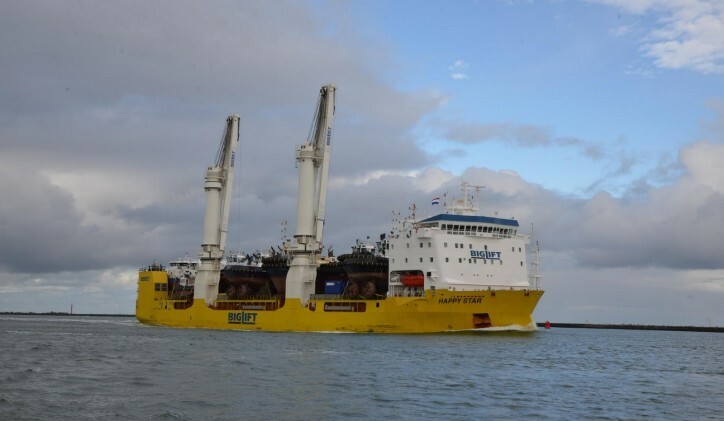 This is the first time Happy Star has visited the Netherlands, bringing with her Damen’s largest transportation of stock vessels to date; a total of 22 vessels. Whilst several of these have already been sold, a number are still available and can be delivered quickly. Included in the Damen transport are two Fast Crew Suppliers 2610, one ASD Tug 2310, three ASD Tugs 2411 and three ASD Tugs 3212, all of which have been sold and will be delivered to clients upon arrival. Additionally, there are a number of completed vessels available for sale. These are, two Stan Tugs 1606, two Stan Tugs 1004, two Stan Tugs 1907, two Stan Pontoons 5213, two Stan Pontoons 3011, a further ASD Tug 3212 and two Stan Launches 1004. The Damen stock vessels are ready for operation, and so can be swiftly delivered to clients upon purchase. However, they can still be equipped with options specified by the client. 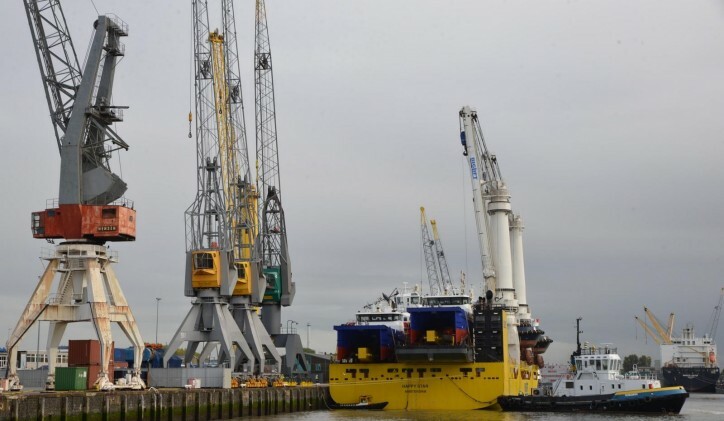 Having arrived in Rotterdam the vessels will receive final touch-ups and cleaning before being delivered, either to clients or to various Damen shipyards.